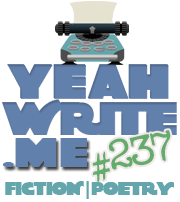 This entry was posted in Poems, Writing and tagged fiction, poem, poetry, sonnet, speakeasy, yeah write. Bookmark the permalink. This is simply one of the most beautiful sonnets I have ever read. … I’m speechless, De. Thank you so much! That’s some highly skilled iambic pentameter happening there. ❤ I fought hard for that whole stanza. So sad when a relationship begins so brightly then slowly burns itself out. We begin with so many wishes and dreams and end with an array of broken promises and grief. I always wonder at that point, if it really was better to love and lost than to have never loved at all. Loved your poem and all the symbolism you weaved throughout. Starry skies are so dreamy anyways. Delicate, exquisite language, Christine! There’s a soft, if sad, floating quality to the words – like the airborne ashes of the burning paper. Beautiful.